At Sunrise Screw Machine Products, we know that our customers deserve the best quality, value, and service. With over 30 years of experience in this field of work, our mission is to satisfy you, the customer, with the best quality parts and with the highest precision. We believe that with our knowledge and dedication in this industry, we will meet your need and wants in any way possible. 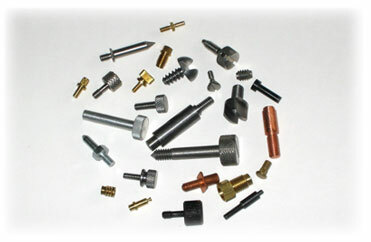 We also have the ability to make your precision parts in several materials including SS, Brass, AL, Steel, Derlin, Phenolic, etc. Allow us to work with you and see how we exceed your expectations. Click here to see some of the sample products that we are capable of manufacturing.